Over the past decade plus of using and selling Maca we’ve had only a handful of questions about the iodine content in Maca. Interestingly 3 of them have come in the past six months. There seems to be a bit of confusion around this topic so we wanted to write this article to help clear it up. What is iodine and why is it important? Iodine is a vitally important nutrient for our bodies. It is essential in helping the thyroid gland to produce hormones. Beyond that, iodine supports healthy metabolism, balanced moods, healthy blood pressure and may also be useful in preventing cancer. A lack of iodine in your diet can lead to goiters, hypothyroidism, low metabolism, problems in pregnancy, depression, mood disorders, fatigue and other conditions resulting from hormonal imbalance. Over the past 15 years a handful of medical doctors have begun using iodine supplementation to treat patients will health issues ranging from chronic fatigue to cancer. Both David Brownstein, MD and Guy Abraham, MD have reported compelling success in using iodine supplementation with their patients. (See links to their research below). 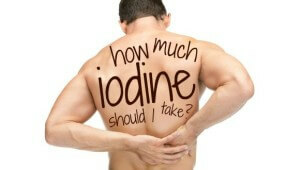 How much iodine should we take in daily? 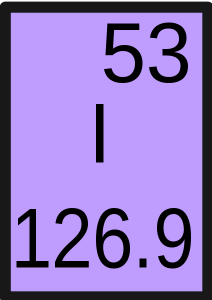 Conventional medical opinion is that we should take an average of .150 mg of iodine daily and no more than 2 mg. The normal recommended daily allowance is between .150 mg and .250 mg. The RDA until the 1970s, however, was 12.5 mg. And, interestingly, people in Japan consume an average of nearly 14 mg daily (Japan also has low cancer rates that may be attributed to this intake). Dr Abraham, who started treating people with iodine supplementation in 1998, uses 12.5 mg daily for most of his patients. And Dr. Gabriel Cousens, one of the world's leading experts on nutrition, also recommends a much higher dosage of iodine for most people of around 7 mg per day. That said, some research cited by Dr Joseph Mercola has indicated that dosage above .4 mg of iodine daily may actually contribute to an under active thyroid in a small minority of cases. This is most likely for people with thyroid problems such as nodules, hyperthyroidism and autoimmune thyroid disease. If you have any doubts about getting too much iodine in your diet make sure to consult a competent medical professional. How much iodine is in Maca? 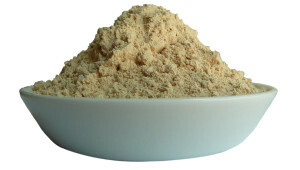 Every 10 g of Maca powder contains about .052 mg of iodine or about 35% of the RDA based on the .150 mg daily guideline. 10 g is about 3 teaspoons. Here’s a chart to help you calculate your intake of iodine based on your dosage of Maca. As you can see, the amount of iodine in Maca falls well within the RDA for the most common dosages at or under 3 teaspoons daily. Also in order to receive .4 mg or more of iodine from Maca you’d need to take nearly 4 tablespoons daily. That means that, while Maca can indeed be an excellent way to supplement your daily iodine content, it would also be very difficult to take in too much iodine based on your Maca intake alone. Can the iodine in Maca cause a goiter? This is an interesting question. Based on the amount of iodine in Maca it is highly unlikely that taking Maca alone will contribute to the formation of a goiter even in people with a compromised thyroid gland. However, Maca is also a cruciferous vegetable high in glucosinolates. Glucosinolates are sulfur containing compounds that are associated with cancer prevention and other health gains. Eaten as a part of a balanced diet, Maca and other cruciferous vegetables may have excellent health benefits. But some research has shown that when eaten in extremely high amounts – 1.5- 2 kg per day- cruciferous vegetables may contribute to hypothyroidism. For the vast majority of people goiter will not be an issue in terms of taking any kind of Maca. However, if you are concerned with this issue you should take Gelatinized Maca instead of Raw Maca. Gelatinzied Maca has been cooked and the major glucosinolates have been altered in the process. Dr Gabiel Cousens "Iodine — Open Letter to Dr. Mercola"
Thanks for reading "Maca and Iodine Content." If you have any further questions or doubts please let us know. We're happy to help.